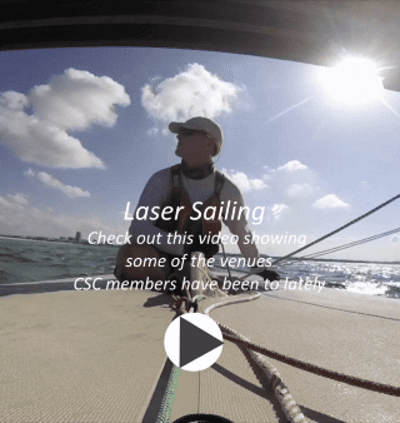 Laser is a fast, 14-foot, Olympic-class sailboat with a strict one-design racing pedigree. Many top sailors started out in lasers. It is one of the largest one-design classes in the world. The rig design makes it suitable for sailors of many different weights and abilities. CSC hosts Winter Racing out of Crosswinds Boating Center on Jordan Lake, and every race is a coaching event. Lasers are great for winter racing, since they can be quickly righted.